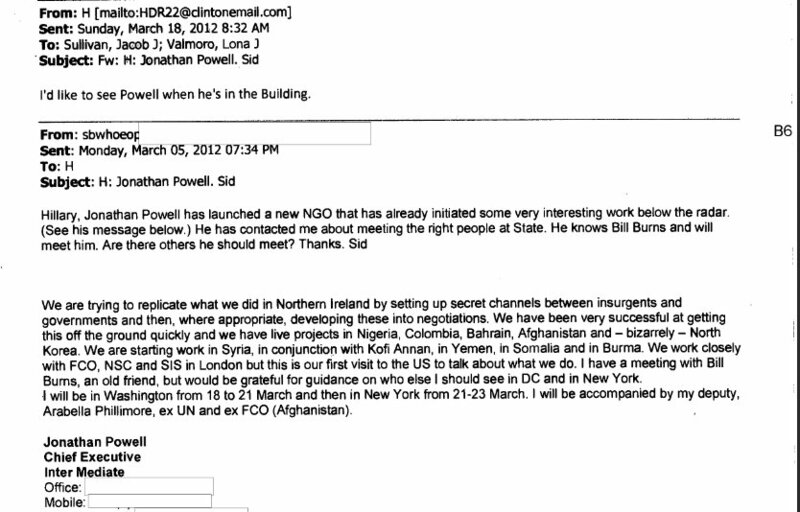 Powell’s NGO ‘works closely with MI6’, says Hillary Clinton email. 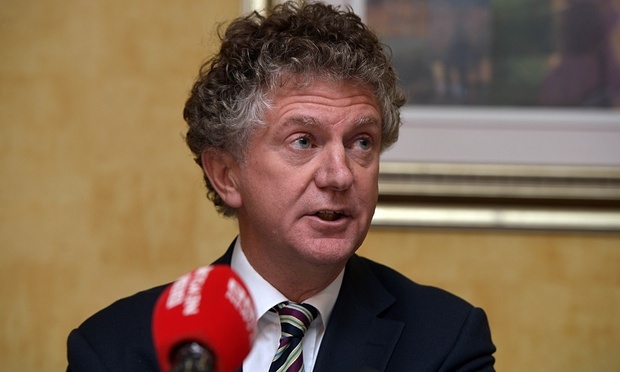 If, like myself, you were puzzled and even intrigued by the re-appearance in Belfast recently of Tony Blair’s ex-chief of staff, Jonathan Powell, and especially because he was in the company of Loyalist paramilitary leaders, then I may have an explanation. But first a reminder of who Powell is and was. A former journalist turned diplomat whose brother Charles, was Margaret Thatcher’s foreign policy adviser, Jonathan Powell teamed up with Blair in the early 1990’s after Blair ascended to the Labour leadership. And when Blair won the 1997 general election the new occupant of 10 Downing Street invited him to be his chief-of-staff. It says a lot about Powell’s loyalty and value to Blair that he was the only one of his non-ministerial appointees to survive the often turbulent decade of New Labour in power. Not even Alastair Campbell could survive the machinations of New Labour, but Jonathan Powell somehow did. In Ireland, of course, he will be remembered for his role as contact man between the IRA and Sinn Fein leadership and Downing Street during the seemingly endless negotiations that constituted the peace process. Some of the other parties involved in the talks, many in Dublin but many more in Washington say that if the negotiations seemed to be unending then it was in no small measure down to Powell. While the White House and the Irish Department of Justice believed, by the early 2000’s, that the time was ripe for playing hardball with the Provos, not least because Adams’ leadership was secure from dissident threat, Powell, supported by Blair, argued in favour of continuing the concession policy, presumably on the basis that the more the Provos were given, the more likely they would be to end their war and the less likely they would be shot in their beds by angry rivals. The Powell/Blair approach also favoured turning a blind eye to continuing IRA activity – the December 2004, £26.5 million robbery of the Northern Bank in Belfast being a glaring example – in case hardliners took offense and turned against Adams. The result was that the peace process became a world without end. And from the Provos’ point of view, why not? If Blair & Co were ready to give, give and give, why should they, of all people, call a halt? The tensions between the three governments over the Blair/Powell approach to the IRA was, perhaps, best illustrated by the review of Powell’s post-peace process memoir, ‘Great Hatred, Little Room…’ written by the Bush ambassador to the peace process, Mitchell Reiss. In July 2005, the IRA had finally agreed to decommission all its weapons. At the last minute, Adams called No. 10 to demand that some of the weapons not be destroyed so that the IRA could arm itself against possible attacks from dissident members. Unless this was allowed, he threatened, decommissioning would not proceed. The Blair government conceded, but wanted to check with Dublin. Irish Justice Minister Michael McDowell refused to acquiesce in the backsliding, despite enormous pressure. Powell told Adams of the problem, and Adams gave way. Decommissioning took place as planned. What exactly transpired during the conversation between Powell and Adams is not known, but whatever was exchanged, it seems to have mollified the Sinn Fein leader. Perhaps the recent report commissioned by the British government following the IRA killing of Kevin McGuigan which revealed that not all the IRA weaponry was destroyed in the decommissioning process, and that much of the IRA’s organisational structure is still in place, contains a clue to their conversation. When Blair left office, Jonathan Powell departed too. But while Blair almost immediately cashed in on the Irish peace process, securing the job of Middle East peace envoy amongst other lucrative opportunities – Powell became a banker, joining Morgan Stanley for a couple of years. Inter Mediate’s mission is to advance conflict resolution and reconciliation through dialogue and mediation with the aim of achieving lasting settlement to violent and complex conflicts. In 2014, Powell was appointed special UK envoy to Libya to engage in dialogue with the various warring groups, activity that doubtless has been performed via the good offices of Inter Mediate. Thanks to some smart sleuthing by Chuck Ross of The Daily Caller, a libertarian website based in Washington DC, we now know a little more about Jonathan Powell’s Inter Mediate and its links to the British foreign policy establishment, including SIS, the Secret Intelligence Service aka MI6. The evidence comes in the form of one of the thousands of emails that Hillary Clinton has been obliged to disclose to a Congressional committee investigating the background to the so-called Benghazi affair. 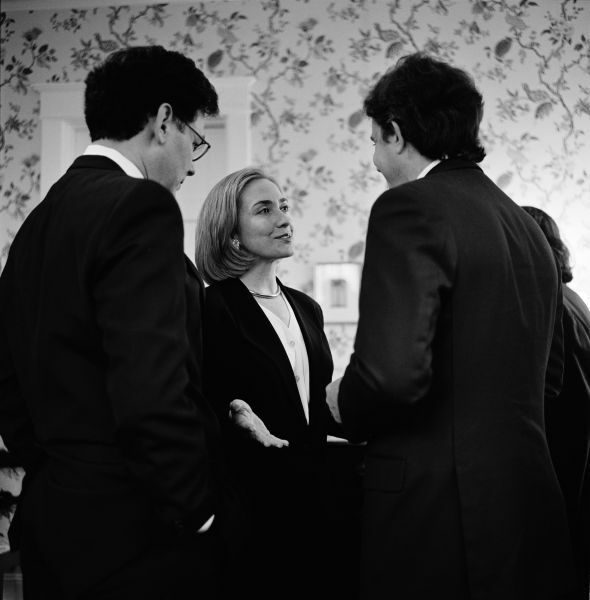 This particular email unearthed by Ross is from a close buddy of Hillary Clinton by the name of Sidney Blumenthal who, if this Ken Silverstein profile is a reliable guide, is one of the most odious figures in American politics. Blumenthal and Jonathan Powell have been friends since the early 1990’s, when Powell was First Secretary at the British embassy in Washington. 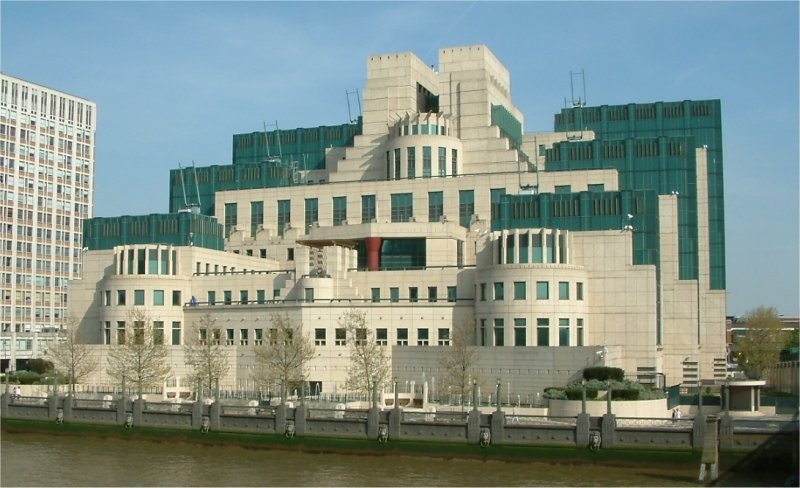 So anyone dealing with Jonathan Powell and Inter Mediate should be aware that everything they do and say will probably make its way back to MI6 headquarters. That now includes Jackie McDonald of the UDA and Billy Hutchinson, leader of the PUP, the UVF’s political wing who met with Jonathan Powell, in his Inter Mediate capacity, in Belfast in mid-October and agreed the establishment of a new Loyalist Communities Council. 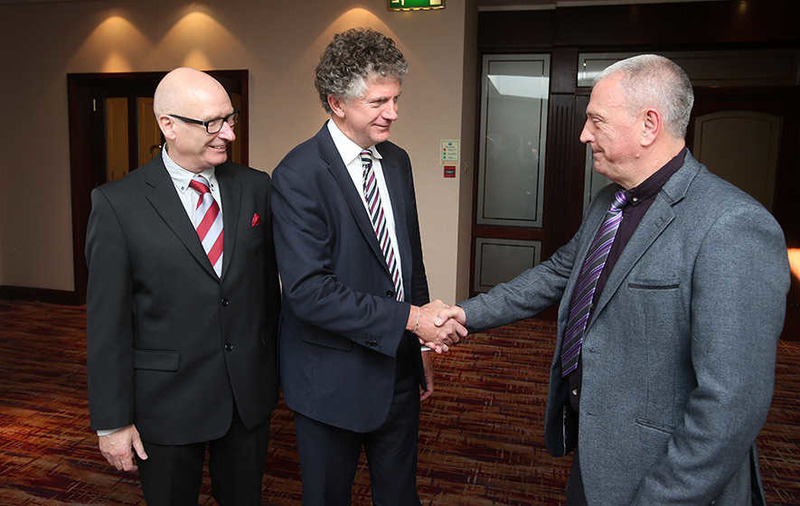 Jonathan Powell meets Jackie McDonald (UDA) on the right and Billy Hutchinson (PUP) on left. Amongst the remarks made by Powell in Belfast was a warning that Loyalist paramilitaries should be allowed to survive, i.e. made legal, or they could be overtaken by dissidents. Which was strange because most of the Loyalist groups seem pretty calm these days. A cynic might point out that guaranteeing the existence of paramilitary groups is not bad either for the income stream of outfits like Inter Mediate. Apropo of the lucrative ‘mediation’ industry, the odious ‘Henry Jacksonite’ Jim Murphy is currently enjoying a lucrative sinecure at CMI. Whither irony?